Thank You for the kind words mate! Always a pleasure. Since you've asked what I've been up to. It has mostly been 3d modeling and digital art. I've been exploring my artistic side, still seeing how it goes. Slowly progressing due to my limited time. No media & threads yet. Not really keeping it a secret but Elvarg wasn't full of content. Currently writing Zulrah right now amongst other small things. Word. 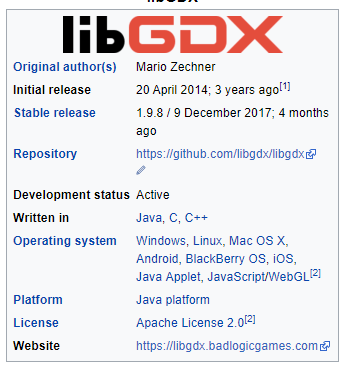 LibGDX just hit another birthday if I'm not mistaken. Good luck bud, always interested in your work. Sick. For which platforms? If you ever need a tester for iPhone X I gotcha! Elvarg. Feel like Apollo is still out of my league for now. & nice, what theme? Castles and dragons, plants vs zombies? Make a RS themed one lol. rsps. what type of mobile?